Another smart design by the master. 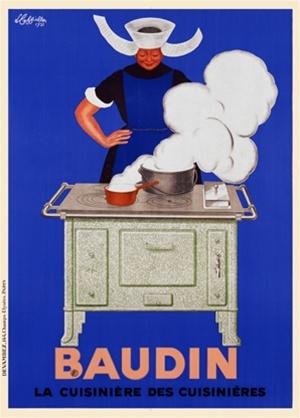 Movement, humor and color are all here in Cappiello’s Baudin Stove poster. Backed with line and in great condition.